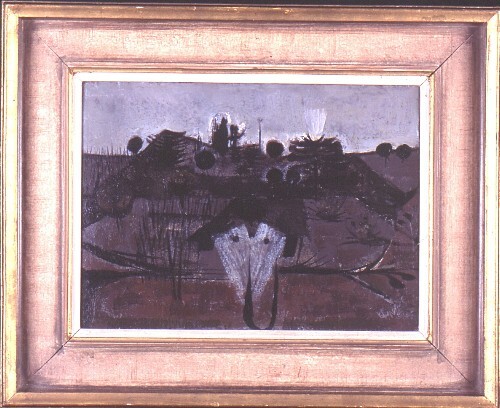 Caption: The Copse at Dusk II, 1952, by Alan Reynolds. Signed. During the 1950s Reynolds painted landscapes drawn from his native Suffolk but abstracted and full of poetry and post-war anxiety.